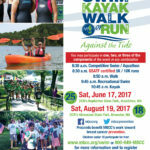 Against the Tide is a family-friendly, multi-sport event to benefit the Massachusetts Breast Cancer Coalition (MBCC). 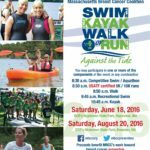 MBCC is the only non-profit in the state dedicated to the prevention of breast cancer from environmental causes. 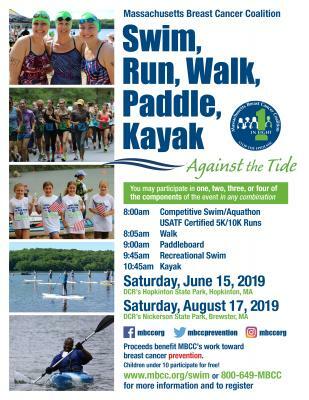 The funds raised through Against the Tide help to support and expand our community education program Let’s Talk Prevention: Reducing Toxic Exposures, MBCC Webinar Series, and the newly-introduced environmental health program for high school students.